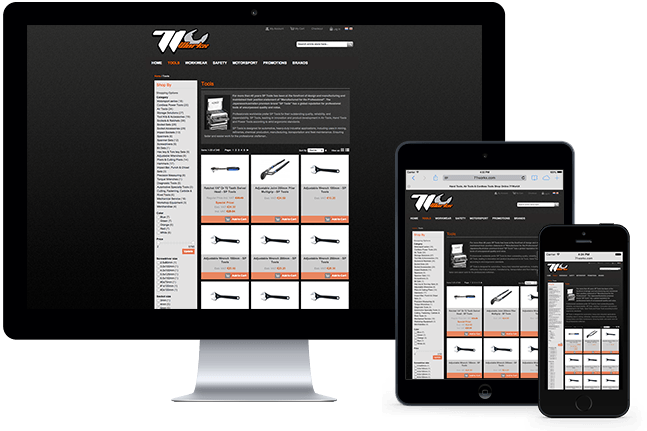 71WorkX opened its doors on April 29, 2013, and is a wholesale dealer for high quality tools for the automotive sector. We were approached to develop their online store, which we based on the Magento e-commerce platform. In the beginning it mainly featured SP-Tools and Storvik as brands, but now the webshop is expanding with several other high quality brands. Other than building 71WorkX’s online presence, we designed a generic flyer that can easily be modified by themselves. 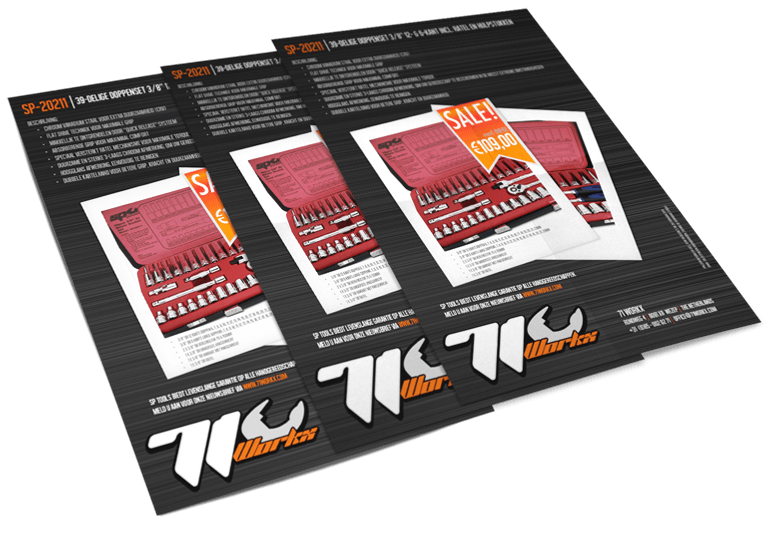 This flyer design enables them to display a variation of products without contacting us every time a change is needed. The flyers are then distributed on racetracks where Thomas van Leeuwen is racing his Moto3 bike. Thomas is the current Dutch Moto3 Champion and is proudly sponsored by 71WorkX. See Thomas’ website for more information and racing activities of 71WorkX.